Welcome to Christmas and New Year at The Belfry, where you’ll discover a whole host of magical moments to treasure forever. As Birmingham's top Christmas break destination, you can expect to arrive to the warmest of greetings with unrivaled hospitality. The Belfry is your winter wonderland right in the heart of the West Midlands to enjoy opulent dining, legendary golf, and beautiful spa facilities, all in stunning grounds with luxury rooms to relax in. If you’re looking for festive dining options in Birmingham, look no further. Choose from a range of options, from our festive Afternoon Tea to our luxury Christmas Day lunch. Or perhaps you and your work colleagues are ready to let off some steam - our Christmas party nights are the perfect way to let your hair down in style. Bring in 2019 with one of our many New Years Eve parties. From the Wishaw and Warwick Ball, to our Gourmet Celebration, or our Family Ball, there’s no hotel in Birmingham with so much choice. Our relaxing Christmas Breaks will ensure you’re ready to take on the busy festive period. Options include overnight stays for two, or even the whole family. Our calendar is packed with Christmas and New Year parties, family breaks, and festive dining. Take a look below at what we’ve got planned for Christmas and New Year at The Belfry. View our Christmas and New Year brochure. To book any of our Christmas or New Year packages, please call 01675 238 600. For a truly wonderful festive treat, enjoy a two-night stay designed to make your Christmas extra special. Our one-night package is perfect for sharing with family and friends and includes a host of festive fun and activities. 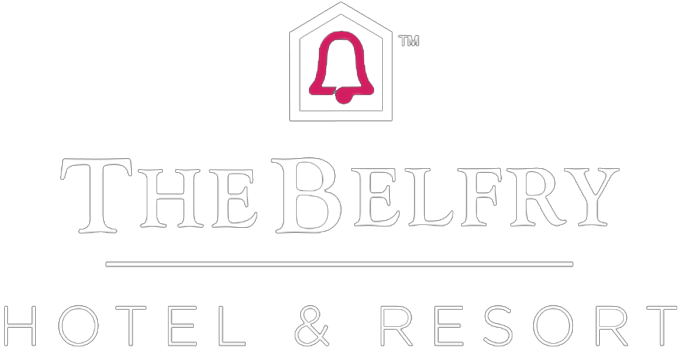 Extend your Christmas and spoil yourself with a luxurious overnight stay at The Belfry. Enjoy an overnight stay and full English breakfast with your choice of either Fire & Ice Experience or a round on The Derby. Package includes welcome drink and canapés, dinner in the Warwick Suite, DJ and dancing, fireworks at midnight, overnight stay in Signature bedroom, showcase breakfast and use of the facilities. Welcome the New Year with all the family! Package includes dinner in the Woodland Suite, DJ and Dancing, fireworks at midnight, overnight stay in Signature bedroom, showcase breakfast and use of the facilities. Package includes dinner in the Wishaw Suite, DJ and dancing, fireworks at midnight, overnight stay in Signature bedroom, showcase breakfast and use of the facilities. Add an overnight stay in Signature bedroom, showcase breakfast and use of the facilities. Ring in 2019 with Apollo Soul. Tickets cost just £20 per person and includes 20% off at the Brabazon Bar, fireworks at midnight plus DJ and dancing till the early hours. Dine in luxury with a set 3 course Christmas Day Lunch in the Woodland Suite. 22nd December, 12.30pm or 3pm. Get into the Christmas spirit with Festive Afternoon Tea. Finger sandwiches, homemade plain and white chocolate and apricot scones, almond crumble mince pies and an array of festive cakes, tarts and pastries. Enjoy our delicious 3 course traditional carvery lunch in The Ryder Grill with a festive twist. Available every Sunday throughout December. Join us from 5pm-7pm for a glass of champagne and delicious canapes, the perfect way to start your evening celebrations. Not to be missed! Brian McFadden and Keith Duffy will entertain you with all of Boyzone's and Westlife's greatest hits.